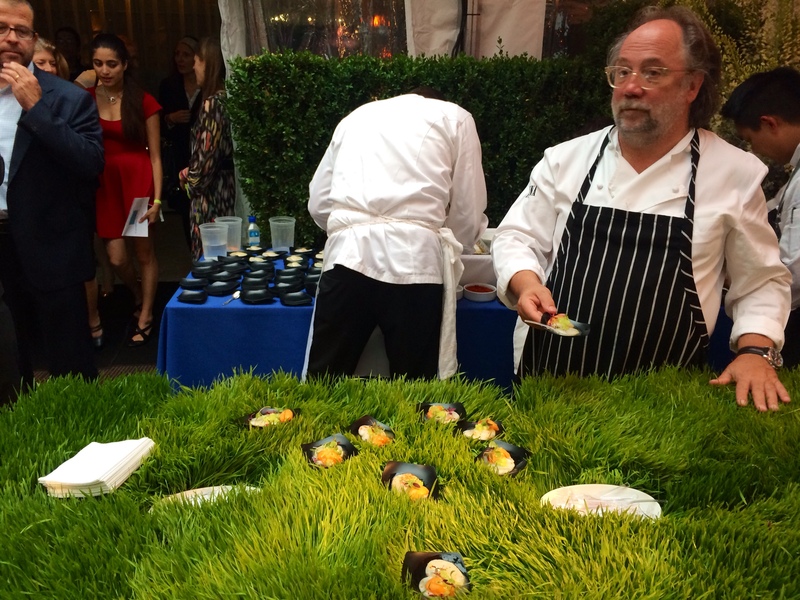 Tonight I attended Summer By The Sea the 29th Annual Chef Tribute to Citymeals on Wheels at the Rockefeller Center Plaza. I got to eat and drink for free, so what’s not to like about that?! I checked in as part of the press and got to snap pictures and tasting creations right away! 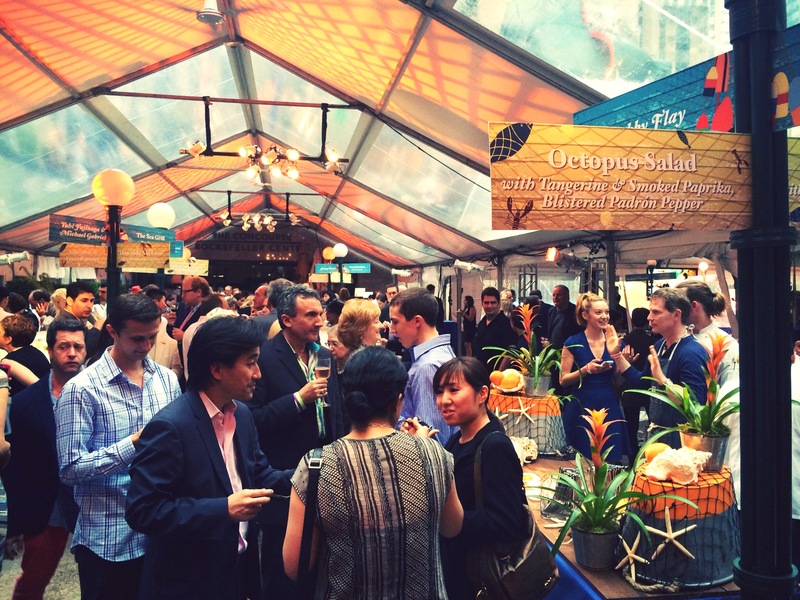 The main part of the event was situated under a big white tent positioned in the middle of Rockefeller Center. 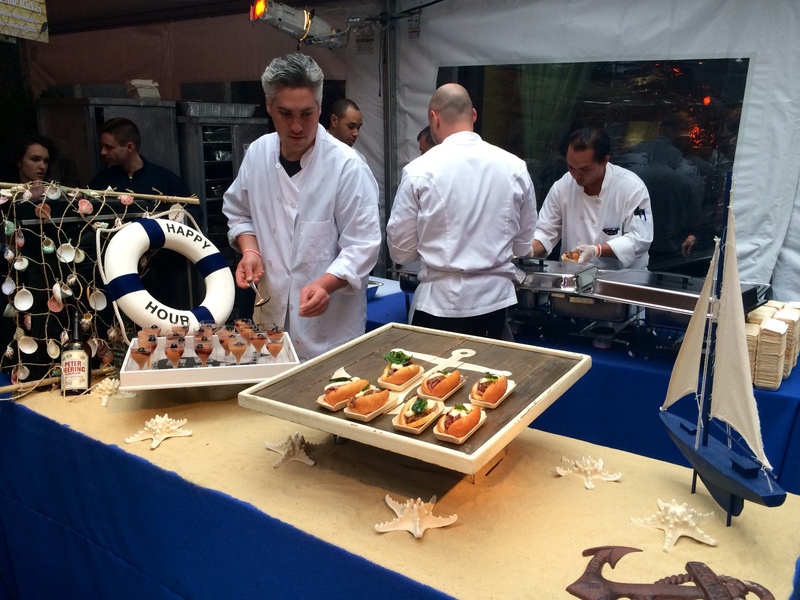 The tent was lined with tables that held beautiful displays and plates of summer and coastal cuisine. There were street signs at every table that signified who the chef was, where they were from and what they were serving. 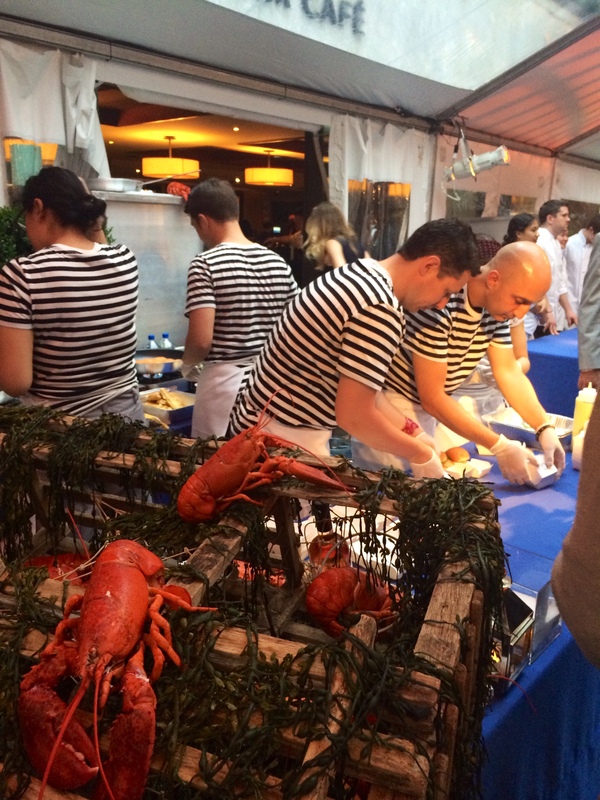 There was Conch, Oysters, Halibut, Salmon, Lobster and even Octopus! The best part was that the food tasted as wonderful as it looked. 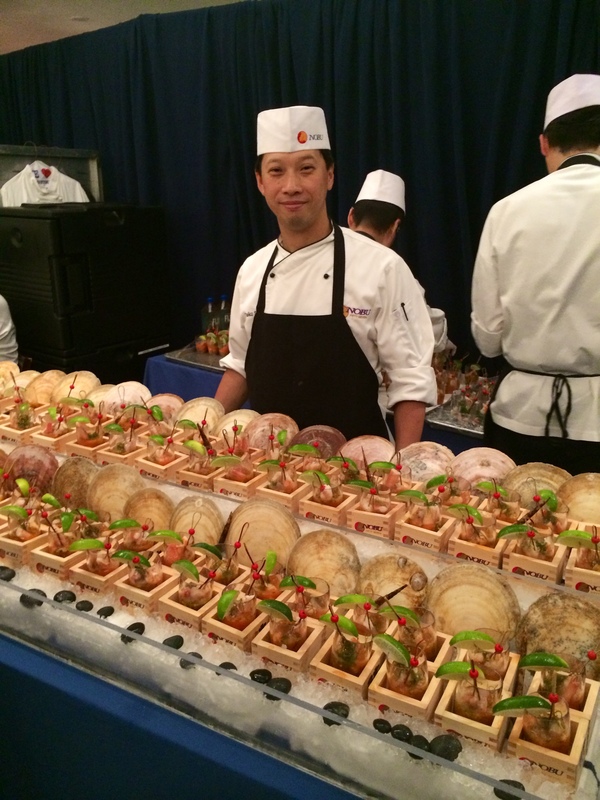 A few of my favorites were the “Egg” from chef Laurie Jon Moran from Le Bernadin. It was made with Milk Chocolate, Pot de Creme, Caramel Foam, Maple Syrup, and Maldon Sea Salt. I had a special affinity for this table because my grandparents took me to the restaurant when I came to visit last. It was a bonus that the food was so so good! Another one I really liked was the Scallops from Joachim Splichal served with Chilled Cucumber Jelly and Gazpacho Sorbet. There were a lot of other interesting foods there, like Octopus Salad, Lobster Pig Ear Terrine Bahn Mi, Smoked Goat Tostadas and Sweetbread Cooked in Beeswax. And for anyone who is wondering, Sweetbread is the glands of a young animal….. I am very thankful I didn’t try that one. I was heading for it because Sweetbread sounds, well, sweet and delicious but at the last minute I overheard him say something about a gland and I made a B-line for the next table. I was feeling daring though and I tried the Octopus! I didn’t hate it, but I didn’t love it. A jazz band played throughout the night and the different scents of food coalesced together to form an overwhelmingly delicious aroma, which made the night perfect. Beautiful people, exquisite food, delectable drinks, and delightful music. The best combination there is.